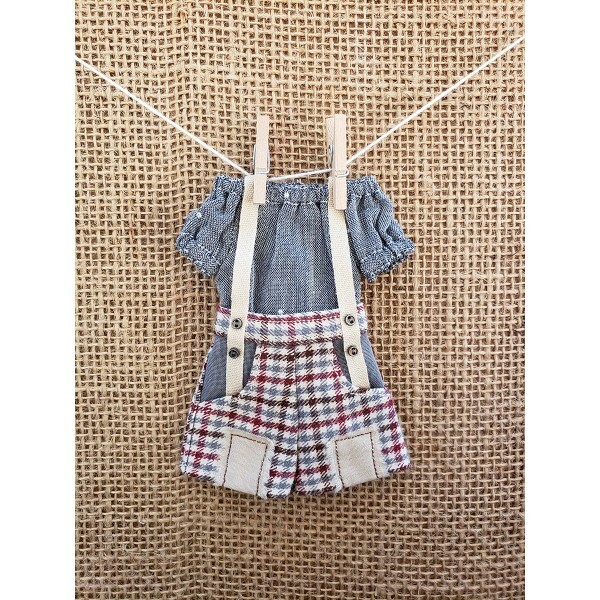 Two piece outfit for Blythe. 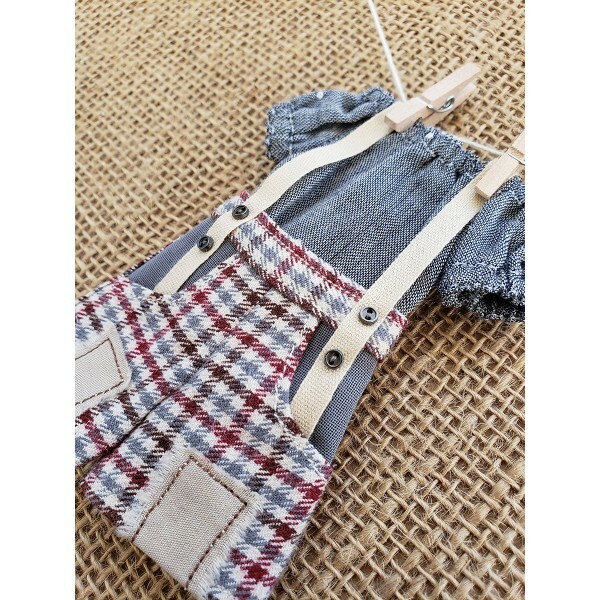 Shorts made from soft plaid in fall colors, with light tan suspenders and patches, petite gunmetal buttons, and functional pockets. Peasant blouse made from lightweight grey cotton with scattered polka dots.